The Rapid Acquisition Process (RAP) provides quicker procurement for the development and fielding of highly successful competitive prototypes, experiments and demonstrations. It addresses the approach, assessment, validation, sourcing, resourcing, and fielding of operationally driven urgent needs. It supports the specific DoD goal of significantly shortening the acquisition response time and acquisition cycle times. Urgent Operational Needs: Need identified by Commanders involved in an ongoing contingency operation or emergent need. 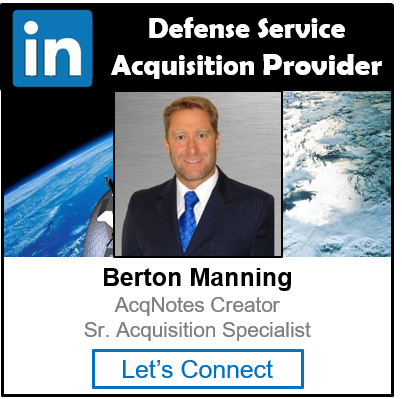 Procure Defense Services: Acquisition of contracted services from private sector entities by or for the DoD. Tailorable Traditional: Execute to the standard defense acquisition model with modifications. Rapid Middle Tier Prototyping: Programs that are intended to be completed in a period of 2-5 years via two acquisition pathways. Early Prototyping: Technology or capability that is being matured by the research laboratories. OSD Middle Tier of Acquisition Interim Authority and Guidance – 16 Apr 2018.